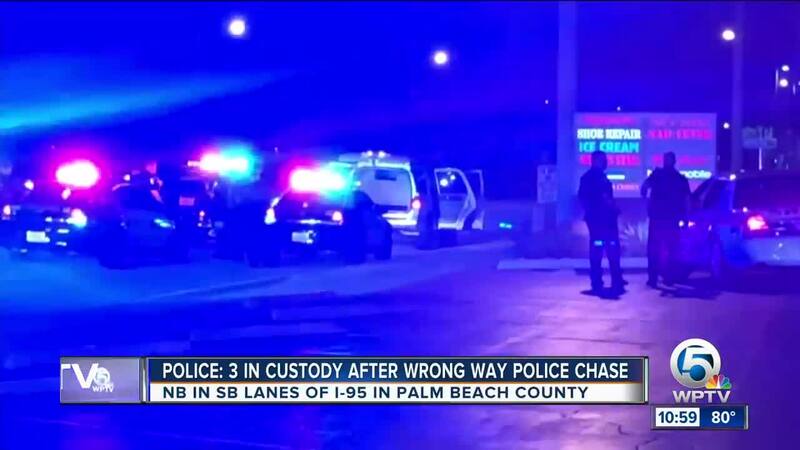 A police chase on Interstate 95 early Wednesday morning in Palm Beach Gardens ended with three men in custody. Officers said the chase started overnight near 45th Street and Interstate 95 when police tried to pull over a white Ford Explorer that was reported stolen in Boynton Beach. Police said the SUV was driving on the southbound lanes, then turned around and headed northbound in the southbound lanes. 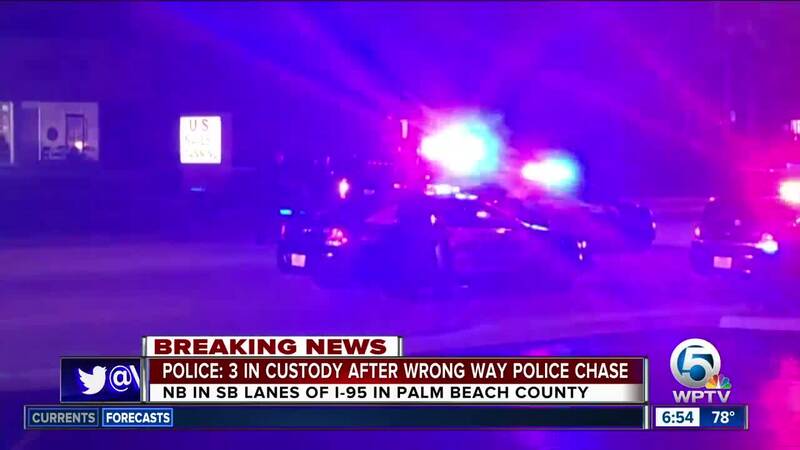 Multiple agencies, including North Palm Beach police, West Palm Beach police, the Palm Beach County Sheriff's Office and Florida Highway Patrol, were involved in the chase. 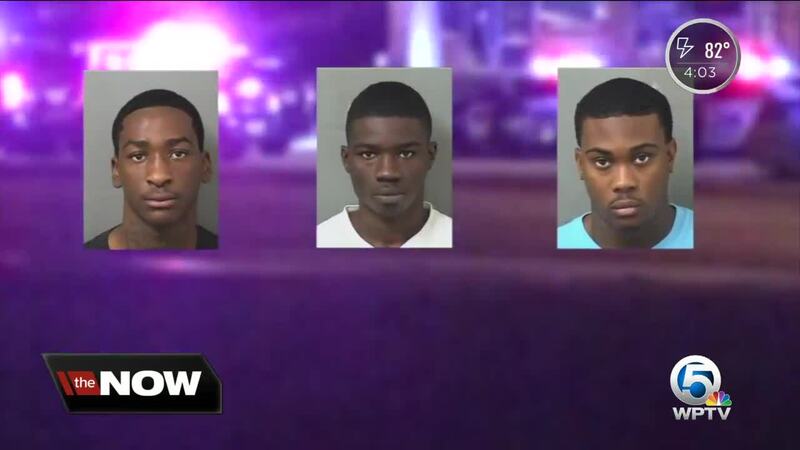 Police were finally able to take three men into custody on Northlake Boulevard just east Prosperity Farms Road in Palm Beach Gardens around 3:30 a.m.
West Palm Beach Police Sgt. David Lefont said the three men arrested were identified as Davion Crometie, 20, Chadwick L. Taylor and Savon Hall, who are both 18. Lefont said the stolen Ford Explorer was involved in a Monday shooting into an unoccupied dwelling in the 3700 block of Windsor Ave. in West Palm Beach. The Explorer had evidence consistent with bullets striking the top of it, said investigators. Taylor, Crometie and Hall all face grand theft auto charges.